The Importance Of Tree Removal For a Beautiful Home. Trees are nature’s gift to heal, protect and add beauty where they are. However, when a tree is past its prime and nears the end of its life, or it undergoes unsupervised growth or sustains damage, it becomes a liability. Tree removal becomes a necessity when you want to safely remove a tree without causing harm to it or the surroundings. Arborists or professional tree removal service providers render their service for tree removals. They can also assess the tree for its overall condition, and its requirements such as nutrients and alternative solutions. Tree removal, especially in an urban environment involves careful planning and execution. Professionals can do so by carefully removing the plant without any disturbance to the human as well as the tree population in its proximity. Apart from human expertise, highly sophisticated technology is an essential requirement to execute the removal successfully. It is quite possible that an established company conducts the removal using state of the art and expensive tools and equipment. This is why any random person driving around in a pickup truck plastered with posters and flyers and saw will not do. Any adult with a saw can cut a tree easily, but is it safe for the tree as well as its surroundings? You do not buy fertilizer from any one who has not tested your soil. Why should trees be treated differently? You need to select the best services after doing tour research. Arborists do not just cut off the dead or damaged parts. They do it in a way that is ecologically safe and does not harm the environment in any way. In the present age, when everyone worth his salt has to say something about the environmental protection issues, the last thing you want is to get into trouble while having your tree removed. Benefits of hiring a tree removal service. It can look quite quickly to take down a tree by yourself. But unless you have some training or experience, it can be dangerous to do it without professional assistance. The parts may fall on your or the neighboring property and cause damage. In the unfortunate event that someone falls or the tree damages some property, professional tree removers are insured so you do not have to worry about anything. Arborists can also evaluate your tree and help it stay healthy for longer. 2. Saves time and money. Being the professionals that they are, it suffices to say that they are incredibly efficient in doing the removal work. It can save you a lot of time and trouble. The only thing you have to do is schedule a date and time and leave it up to the experts to the experts to do the hard work. Ah yes, the price factor. 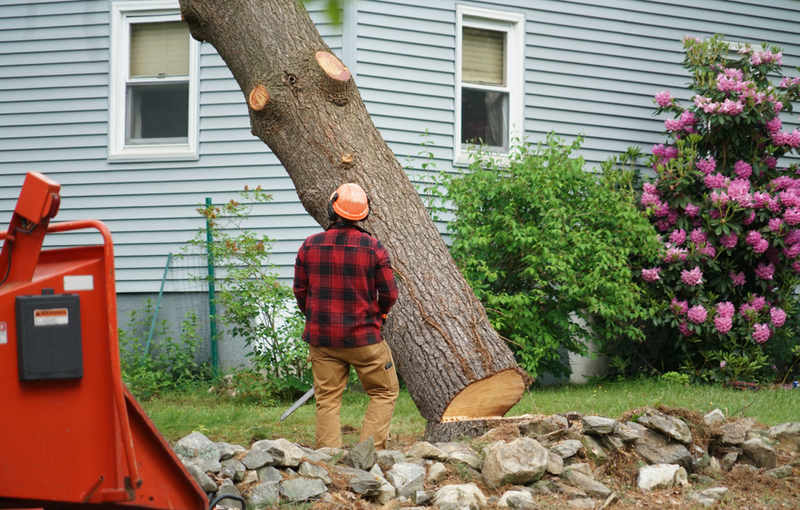 Rampant rumors swirl around about how expensive tree removal services can get. But if you dig deeper, there are affordable companies who offer service without compromising on the quality. Of course, there are some who charge exorbitant amounts for their service. Some companies provide exceptional service without making you go bankrupt. Removing a tree can be very messy. And we don’t have the time, energy or the equipment to clean up the yard after it is over. When you hire professionals, the job of cleaning up after the process is completed, rests on them. You paid them for their services, so you get the whole package. Twigs and leaves and fruits falling from the trees can also be a nuisance, and it becomes double the trouble during the fall. Anyone who has an adult tree nearby their property can attest to this fact. Removing the tree can solve this problem altogether, and you can finally have the spotless lawn that you have long wanted. So we see the immense benefits and the advantages of hiring an efficient and qualified expert for tree removal. Of course, you might have a different experience altogether if you hire an inexperienced novice. But you can fully expect to have your needs met when you decide to hire professionals from agencies like Tree Removal Sydney. You only need to schedule an appointment and that could well be the end of your worry. Tai Chi – The Natural Way For A Healthy Heart.